U.S. Attorney General Loretta Lynch announced Monday morning that the Department of Justice is launching a broad investigation into the Chicago Police Department. 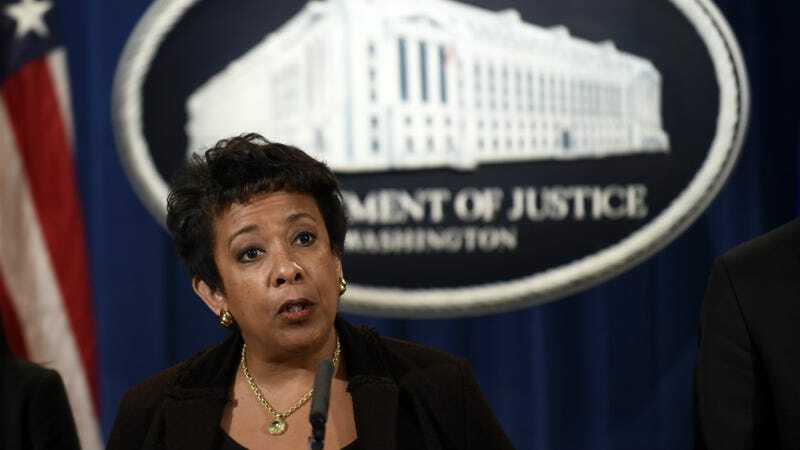 Lynch said the DOJ will specifically investigate any “racial, ethnic or other disparities” in how the department uses deadly force, and determine if they have a pattern or practice of violating the Constitution or federal law. The catalyst for the investigation is a video released in November that shows Chicago police officers shooting 17-year-old Laquan McDonald 16 times. Officer Jason Van Dyke has been charged with first-degree murder in the killing; he and the department maintain McDonald was swinging a knife at officers, despite the video not showing that at all in any way. Van Dyke posted a $150,000 bond last week after a massive police union fundraiser. Every American expects and deserves the protection of law enforcement that is effective, responsive, respectful and most importantly, constitutional – and each day, thanks to the tireless dedication of men and women who wear the badge, citizens from coast to coast receive just that. But when community members feel they are not receiving that kind of policing – when they feel ignored, let down or mistreated by public safety officials – there are profound consequences for the well-being of their communities, for the rule of law and for the countless law enforcement officers who strive to fulfill their duties with professionalism and integrity. Specifically, we will examine a number of issues related to the CPD’s use of force, including its use of deadly force; racial, ethnic and other disparities in its use of force; and its accountability mechanisms, such as its disciplinary actions and its handling of allegations of misconduct. This investigation has been requested by a number of state and local officials and community leaders and has been opened only after a preliminary review and careful consideration of how the Justice Department can best use our tools and resources to meet Chicago’s needs. The Chicago City Council, backed by Mayor Rahm Emanuel’s administration, paid the McDonald family a $5 million settlement before they even filed suit. The video of McDonald’s killing wasn’t released until freelancer reporter Brandon Smith sued to force it to become public. Emanuel fired Police Superintendent Garry McCarthy last week, which was somehow not enough to quell the DOJ’s interest in how the city handled all this.